A divorce is a messy and painful process, and the legal proceedings around a divorce can be the cause of much stress and tension. When you and your partner have reached a final decision to separate for good, you need to make it public by writing and filing a divorce paper. The requirements for a divorce paper will vary from state to state. Here we are not providing legal advice or a template for your divorce paper. We will offer some tips to consider when planning and writing. You should always check your local regulations for specific information, and of course, contact a legal professional if you have any questions on how to proceed. Whether you are a legal professional, or someone who wants to save expensive legal fees by writing a divorce paper yourself, WhiteSmoke Writing Software will make sure that your words are clear and informative, and are not liable to misinterpretation due to spelling or grammar errors. 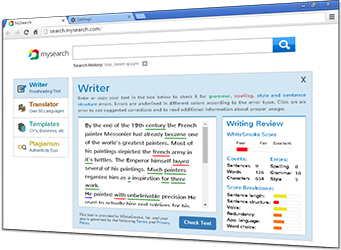 As an all-in-one solution, WhiteSmoke features a grammar checker, a spell checker, a thesaurus-dictionary, and special enrichment features to make your writing perfect. First, check your state regulations, and gather all the information required. There will be certain legal terms you are required to use in your divorce paper; find out what they are. Make a list of the points you need to cover before you begin writing. 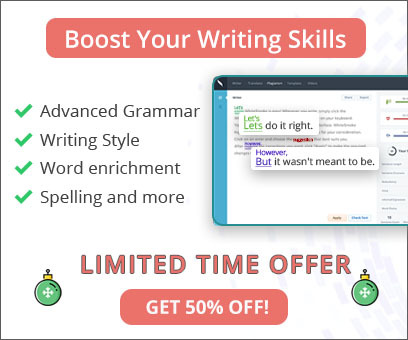 Thoroughly proofread it for grammar and spelling errors. These tips will help you get organized for your divorce paper, and thereby enable you to write in the clearest way possible. After putting so much effort into collecting the relevant information and writing your divorce paper, do not forget to proofread. Spelling and grammar errors could leave your divorce paper open to misinterpretation, prolonging the legal proceedings. To save unnecessary costs and stress, proofread your divorce paper with dedicated writing software. WhiteSmoke Writing Software will make sure your divorce paper is easily understandable and devoid of errors.